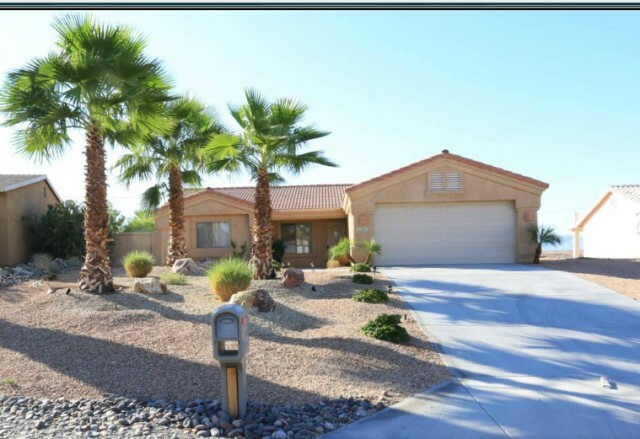 This 3 bedroom, 2 bath home has CalKing bed in the Master and queen beds and TV's with DVD players in other bedrooms. Leather couches and recliner make relaxing in the living room and watching the big screen TV extra comfy. The dining table seats 6 with 3 stools at the breakfast bar. Enjoy the pool and spa, have a great BBQ on the patio, eat under the gazebo canopy overlooking the pool, then light a nice fire in the portable fire pit or play on the fooseball, air hockey, shuffle board in the garage, as well as board games in the house. There is plenty of boat and/or RV parking with hookups on the side of the house. A covered gazebo beside the spa. Cable TV, internet and local phone.